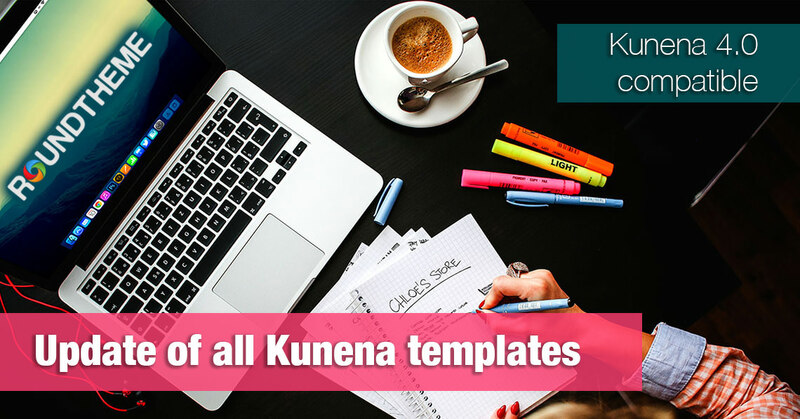 All our Kunena templates were updated and now it’s fully compatible with Kunena 4.0. If you’re using Kunena and recently migrated the forum from 3.0 to 4.0 version, it’s time to update your template to meet new requirements. After a recent release of Kunena 4.0 there are changes in structure of the code and there is a minor issue with configuration of early versions of templates for Kunena made by our team, as a result you can get “No parameters” message when trying to edit template’s configuration file from Kunena back-end. Enable Google Fonts (yes / no). In early versions we’re used Google fonts by default, but in some cases you might want to disable using external fonts. So, now you can control it with new param and disable include of Google Fonts. You can download latest version of Kunena template that is in use and install it over existing template. Attention! If you customised the template, all changes will be lost. Make a website backup before updating forum and template. We’re working on preparing new extensions section which will start with plugins and modules for Kunena. New section will be opened on next week and be available as separate subscription plan. First 20 customers can get 20% discount on all subscription plans. Hurry up! There are just 20 customers who get this discount.